I know this is late, but this is a good time to interrupt the Rock G.P.A. flow with this news. Last August, word filtered out of Shriekback HQ that a possible reissue of their first full length album, “Care” would be coming to LP again. Since I already had an LP of this [WB 9 23874-1] I was more interested in a CD of that title, since it had only ever been issued in Australia in 1993 and I had missed it completely. By the time I had learned of this, it was a three figure disc. I did have the late 80s Kaz compilations, which between the two of them had 4/10 “Care” tracks tucked into the running order. Hardly optimal. I completely missed “The Complete Y Records Years” compilation as I was not in a position to buy too many CDs in 2002. 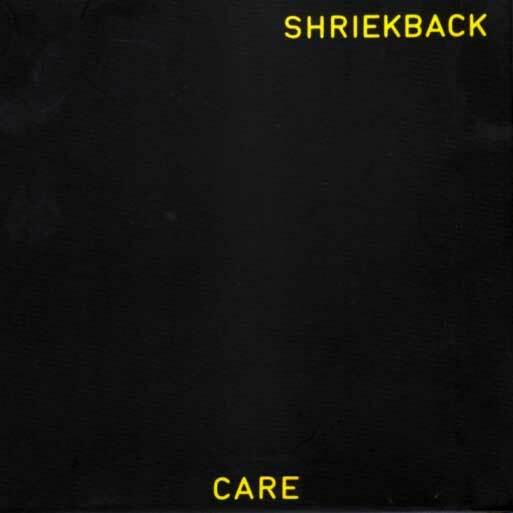 Last November, Barry Andrews asked the Shriekback mailing list if there was interest in a remastered “Care” on vinyl and I weighed on on the side of the shiny silver discs. He assured me that that was also in the pipeline. A month later it was on sale in the Shriekback.com web store. I acted immediately, and a copy found its way to my mountain home, thousands of miles away. In fact, vinyl has yet to appear, so thus far, this is it. The bonus tracks are plentiful. All three tracks from the “My Spine [Is The Bassline]” 12″ single, “Despite Dense Weed” from the “Birth Of the Y” compilation LP, the “Working On The Ground” A-side, a 6:10 remix of “Lined Up” [the 12″ vinyl was shorter, so this confuses me], “Gated Joy” from the “Mercy Dash [extended version]” 12″, and finally, “Speed Of Clocks” from the “Aberrations 81-4” compilation. One could argue that “Gated Joy” should have been on the recent “Jam Science” but here it is instead. That’s eight more tracks missing from contemporaneous releases. Almost a second disc worth. The big question among many of you right now might be, what were the mastering sources? Surprisingly, it seems almost entirely sourced from vinyl. Strangely enough, “Clear Trails” and “Sway” might be from master tapes as they are maddeningly free of the vinyl artifacts that appear elsewhere. Either that or they had impeccable vinyl sources for those two tracks in particular. “Speed Of Clocks” is a bit of a mystery since to my knowledge, it never got a release on vinyl previously! Anyone want to hazard a guess as to what its mastered from since I can’t decisively call it. How does it sound? Pretty hot. It makes the vinyl rips, warts and all, sound pretty full bodied compared to the late 80s Kaz Records masters I have on CD. I can attest to the power of future generations of A/D conversion hardware/software. When I mastered some 7″ Simple Minds material in 2002 from an LP of “Themes For Great Cities,” the results were miles above the ca. 1985 Virgin CD material of the commensurate LP tracks. I made full bodied vinyl rips with a presence completely missing from the timid 1st generation masters I had on CD. Play this loud on your sound system and it’s like listening to the LP on a great turntable. Without having to change sides/discs. With headphones, the little nit-picky details are revealed. The pops and transients that I wish I could have removed from their masters had they only asked me. Comparatively, the remastering is not as quite as clean as the album tracks on the recent “Jam Science” CD, nor is it as problematic as the “Mercy Dash” remix 12″ bonus tracks on the same disc. For me, it fulfills the brief of what I want in a playing copy of the whole, discrete “Care” album, in my Record Cell in its original UK form for the first time ever. Could I have made a better remaster of this album? Possibly. I could certainly remove most if not all offending transients from this CD if I wanted a cleaner copy. But that would take hours and hours that I don’t really have and at the end of the day, I’d have a CD-R. This was a nicely packaged, actual manufactured CD, and that always has cachet in the Record Cell as the fragility of CD-Rs [even MAM-A Gold] is well known. The liner notes are extensive and illuminating and the colorful original inner sleeve art forms the front and back of the booklet. So if you want a CD of “Care” and never had the Oz copy or “The Complete Y Records Years” this is what you’ve been waiting for. Now if they will only do “Tench” and do it right, a major nagging absence in the Record Cell will have finally been corrected. Maybe I should volunteer. This entry was posted in Core Collection, Remastering and tagged Care, DLX RM, Shriekback. Bookmark the permalink. I wonder why they didn’t use the Aussie Care CD as a source? 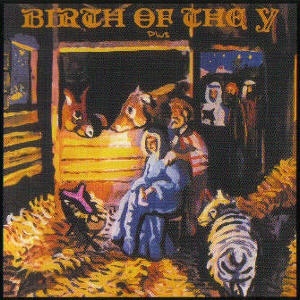 Or for that matter, the Y Records Years, which contains almost everything on this current remaster? Also, you mention removing transients twice… why on Earth would you want to do that? Transients are what give drum punch and snap, and what give other instruments their character. Arguably, they’re the most vital component of a sound. JT – One suspects that since the band are effectively bootlegging themselves, they have no access to the masters which are locked up in an EMI/Universal vault somewhere in a best case scenario or lost to the four winds in the worst. The band probably don’t have the “rights” to use their own masters without licensing them back from the owners [unfortunately, not themselves], usually at exorbitant costs [just ask Bill Nelson]. The CDs they are now issuing are a guerrilla tactic, I presume. I surmise that extant CDs are not used as mastering sources because of rights issues that could possibly see legal action brought against them in court if the owners wanted to play hardball [and they would]. I’m just happy to have a pressed CD of the title. Is it ideal? No, but it’s better than what was in my Record Cell prior. A Warner Brothers “Care” LP with two cuts swapped out for tracks not on the UK album. “Jam Science” sold its pressing out in about eight weeks. “Care” should follow suit. The transients I work to eliminate are noise transients, and I should have made that clearer. Pops. One of the banes of the vinyl format… apart from all of the others! I’m pleased to have the two recent CDs and it’s clear they’ve put some love into these releases rather than just shoving them out, so I am grateful, however the clicks and pops are a little annoying, never mind! Simon H – Yeah, it was always a sticking point with me that their first three releases never got a CD release, apart from the practically secret Oz CD of “Care” 21 years ago. Even then, once I knew about it, I couldn’t afford it. In answer to the question of mastering sources, I provided most of the files, at least for the tracks which were actually on the UK version of “Care”. Due to PayPal sending the wrong address to Barry when I ordered, I have not yet actually received my CD, so I do not know precisely which versions of the files were used on the final product, but Barry assures me that “mostly” the files I provided were the ones used, which I take to indicate most or all of tracks 1-11 and certainly not tracks 12-14 or 17. “Speed of Clocks” had previously been released on “Aberrations ’81-4”, so I would guess it came directly from that CD. I own 3 copies of “Care” on vinyl, 2 US and 1 UK. There were certain problems such that some tracks from the vinyl which were generally quiet such as “Hapax Legomena” were simply not pressed superbly enough for good mastering. Even though the vinyl is immaculate and was thoroughly cleaned, light crackle was evident on many tracks, indicating some impurities in the pressing plants. The only other pure-vinyl solution was to try to find a sealed Japanese pressing just to see if it was better, which turned out to be unobtainable. I could not even find an opened Japanese pressing. For those who argue about the (genuine lack of) perfection in digital conversion, light crackle on LPs which is barely noticeable on vinyl becomes quite noticeable in HD 24-bit/192 khz digital and downright obtrusive in low-fidelity 16-bit/44.1 khz CD format. Years earlier, I had digitised both the US and UK versions and had selected the very best versions of duplicated tracks for preservation. Those files were recorded from a Denon DP-700 with an aftermarket elliptical stylus and stock cartridge directly into an Intel motherboard HD audio input and recorded at maximum HD of 24-bit/192 khz. I provided those files completely raw and unmodified at full recorded resolution. Ultimately, most of those tracks probably came from the US Warner Brothers version, being that one of my copies is as minty as a non-sealed record could get when it fell into my hands. It looked like the kind of record which had only ever been played once. However, nearly all versions of all tracks included on both versions had already been remastered in some form or another, apparently from the master tapes, and released on CD. 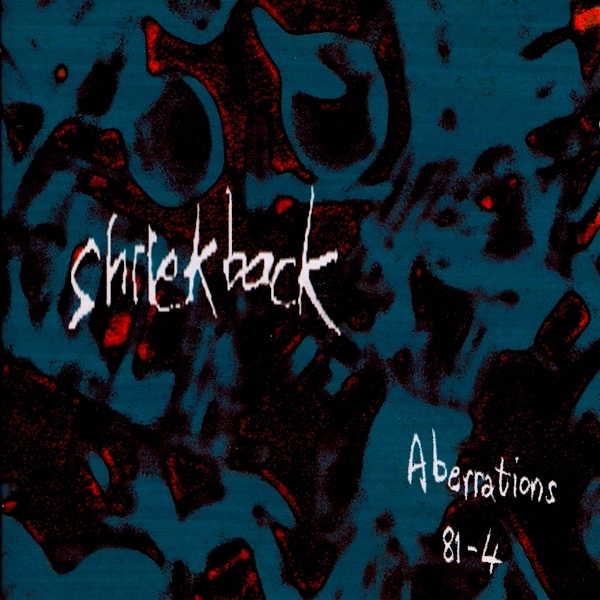 I scoured my entire collection of Shriekback CDs which includes every release save for the Australian release of “Care” which I had not even realised existed until reading this article. Ultimately, only two tracks between the US and UK versions had never been released on other CDs, so I provided Barry with rips of those tracks as well. Only “Into Method” and the US version of “Accretions” (which does not appear to have been included) truly needed to be ripped from vinyl. While my rip of “Accretions” sounded absolutely perfect to my ears, there is a little crackle/flutter at the end of “Into Method”. If that is what you hear, it came from my vinyl. “Clear Trails” and “Sway” were both mentioned in particular. Again, I have not yet listened, but “Clear Trails” may have come from my vinyl, but I doubt with the general quietness of “Sway” that it came from my vinyl if it sounds as superb on CD as claimed, unless the track was digitally filtered somehow. Could a better job have been managed without access to the master tapes? Maybe. Someone would need to obtain a sealed copy of the Japanese vinyl somehow. My Denon is a respectable table, but it is by no means high end. I also think that the HD analog-to-digital inputs provided by Intel on their DG31PR motherboards is respectable but likewise by no means high end. (Though there is a possibility that was using a cheap USB analog-to-digital converter manufactured by Behringer instead of the Intel motherboard input.) However, I think none of the US or UK vinyl was particularly pristine when it came out of the factories. Accordingly, the files I provided were as good as could be made using decent consumer-level hardware and well-preserved vinyls. I certainly wish I had know which bonus tracks Barry had chosen to include on the “Jam Science” CD because I already had better copies of all those tracks, and my HD version of “Jam Science” came from a sealed spare copy of the vinyl I had picked up and saved in sealed condition for over a decade until I had the equipment to digitise it, though there was nothing wrong with any of the ten main tracks which appeared on that CD. As for the eight remaining tracks, there are actually ten, being that “Accretions” from the US vinyl and the cassette mix of “Accretions” are also absent. Hence, there is basically a full disk’s worth of material still to be released. Perhaps if the “Care” CD and vinyl sell out quickly, then Barry can be convinced to take yet another dip with releasing yet another CD in this series, also including more from the “Jam Science” era, which is likewise incomplete, and there is still the matter of “Mothloop II” from NME’s “Racket Packet” cassette tape. HD digital versions of all of those tracks are being preserved by me and and have already been provided to Barry. For anyone thinking of asking me for those files, please be patient. While Barry is actively working to slowly re-release these things, I have no intention of potentially undermining those efforts by providing free access. Hence, any such request will be politely refused, though I appreciate anyone’s desire to enjoy the full corpus of works by Shriekback. For those who wish to hear yet one more “new” thing, I advise you to go to YouTube and search for “Pointless Cowbell”, my own remix of “Pointless Rivers”, with shameless video prepared by the ineffable Tinhuviel. Please be sure to give it an official “thumbs up”. Alan Jay Wescoat – Welcome to the comments! Wow! 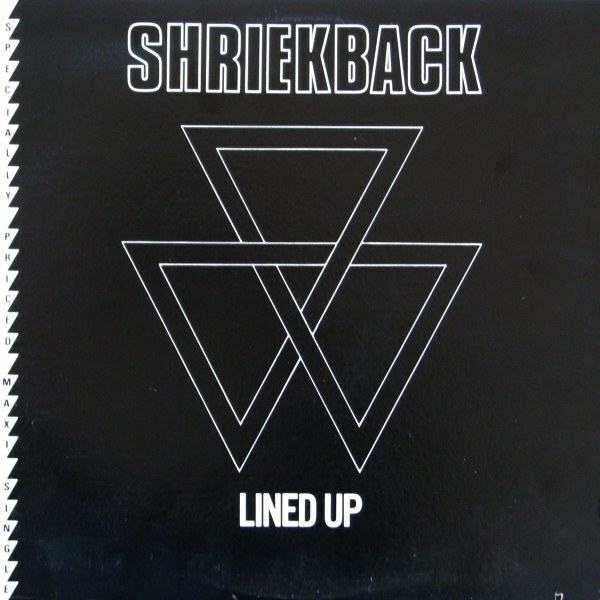 Thank you so much for your encyclopedic run through on the details of your contributions to the remastering for the recent “Care” CD from Shriekback. According to Discogs.com [hardly infallible] there is no Japanese pressing listed, though I am slightly shocked to not hear of one. In fact, I fully expect that there are copies out in the wilds. Almost everything got a Japanese pressing at one time or another. $86.24 plus shipping and it can be yours. Insert and obi included, of course! Unfortunately, this doesn’t help the remastering of “Care” now, but if the band ever want to take the CD all the way to monastic perfection [even I was unaware of the NME tape track and the US variation of “Accretions”] then it could yet happen. Given that the Japanese pressing is a promo, it probably received scant play. Barring that, a nice German pressing [hopefully from Teldec] would suffice. I’m crestfallen to hear that someone who provided files for this project still doesn’t have a copy of the finished product! How could Paypal provide an incorrect address? Furthermore, I would have imagined that a gratis copy would have been de riguer at the very least. Um, the PayPal issue is odd. It just started to use my address from about seven years ago, which I just changed back to my current address. I have no idea why that happened, but perhaps it resulted from some kind of mistaken tweaking on the part of PayPal. As for gratis copies or whatnot, I never even asked. 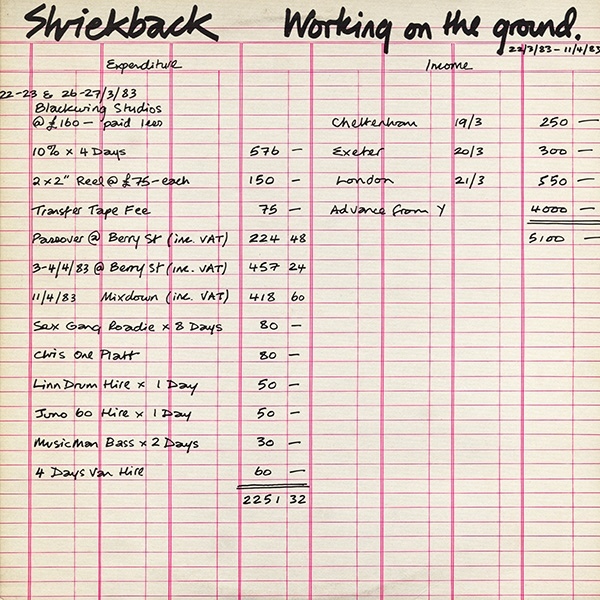 I just order whatever comes out of the Shriekback store as soon as possible. No biggie. Barry is sending me a replacement free of charge, so it is of no consequence to me. Maybe I will try to talk him into sending me some swag at some point, but I want to see this sell out, along with the subsequent LP as encouragement and capital to keep it going, to get absolutely everything archived. Thanks for finding the Japanese pressing. That was just a suspicion that it might have better pressing quality in a way that the US and UK versions do not. Maybe it sounds the same. I definitely do not have that kind of money to burn on yet another copy of something I already basically have. I am actually more interested in the israeli pressing, being that the cover is different, but even though that crops up on eBay fairly cheaply, shipping of LPs to where I live in Korea is simply prohibitive in light of my actual budget. Beyond that, the high price might encourage the Customs gangsters to steal my package and try to extort money from me for its proper delivery, and I really HATE forking money over to gangsters. Taxes are bad enough as it is. Oh, the lovely wonder and irritation of 12″ records…lol. 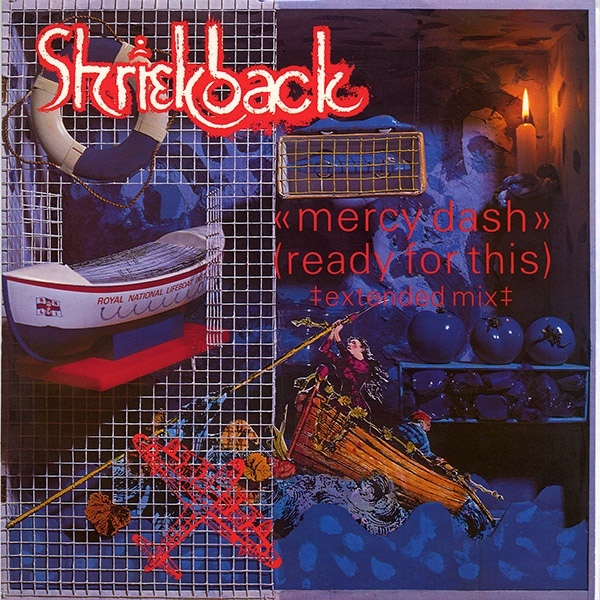 I think I am done with those, being that just a few months ago, I finally acquired the one last Shriekback record for which I had been questing, the elusive and rare single-sided DJ mix of “Fish Below the Ice”. Sounds lovely! But the cost! The cost! The damned cost for a mere five or six minutes of lovely music…lol. Alan Jay Wescoat – Actually what I was referring to were the shipping costs of 12″ records as being excessively prohibitive across national borders. I’ve found that the bottom has dropped out of the vinyl market that concerns my tastes. Records that were $40 and up in the 90s can now be had for quarters on the dollar now. Records that once eluded my grasp due to cost are mostly quite affordable. It’s been the shipping costs of such records that have risen sharply in recent years. Often coming in at 3-5x the costs of the often inexpensive discs themselves. Apart from the how-do-they-subsidize-it costs of buying vinyl from Amazon dealers outside of the country. 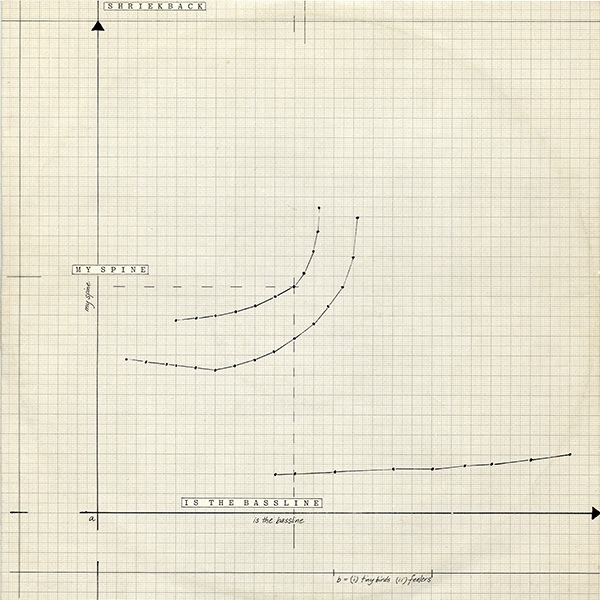 Memo to self: look more closely into this option for desired 12″ vinyl! I know exactly what you are talking about. I have to pay about $17 in Federal Reserve “dollars” to have ANYTHING whatsoever shipped to me to Korea from just about anywhere in the world. In particular, I avoid Australia because shipping is even more, and I find Japan irritating because they charge just as much as anyone else to toss a record a few hundred miles across the Sea of Japan. I just checked out my copy of Sway recorded from my vinyl. Actually, it sounds ALMOST perfect, but there is a teensy weensy pop/crackle/flutter at 3:15. Check the CD at 3:15 to see if it is there. Alan Jay Wescoat – I will do that once I am home from toil. I’ll report back with my findings this evening. Also, my vinyl rip of “Clear Trails sounds absolutely perfect until 3:30 where some crackles start right at the fadeout, but such a small number of pops could easily have been manually edited out or minimised, and if I recall correctly, I did give Barry some brief instructions regarding exactly how to do that. Alan Jay Wescoat – No, this one was also different. Said artifacts did not manifest at or near that time. Alan Jay Wescoat – Nope. I cranked it this morning with headphones on and there was no such artifact. Barry has just announced that “Tench” is next and that the tracks will be taken from cassette. If you have a particularly clean copy of “Tench”, perhaps you should try mastering it yourself and then offering it to Barry. I do not have a clean enough copy of “Tench” to make such an offer, though all of my vinyl from that period is available. Alan Jay Wescoat – Indeed, I received the email from Shriek Central while we were discussing the issues surrounding “Care” and your involvement with it, and eyebrows were raised. At the very least, I thought that I would be a good person to significantly reduce pops and clicks on any issue, but if they are mastering from a cassette, then hiss will be the issue. Broadband noise removal is not my favorite thing in the world, to put it mildly. It contributes greatly to the sterility that drives me up the wall on Jon Astley remasters, and eliminating the frequencies that hiss occupies carries too high a price for me, musically. If they opt for vinyl [ preferable, in my opinion] then I would be interested in having the initial files handed to me to see what artifacts that I could get rid of without affecting the whole. I de-noise manually like a hiker in a protected wilderness; I leave no trace of my presence. I must give my US copy of “Tench” a spin and see how it shapes up. I bought it 20+ years ago and have never played it. If it’s hot and vibrant, I will certainly offer it for consideration. Yes, removing tape hiss will more or less destroy the music. However, I know from my own efforts that while standard tapes tended to hiss, high-quality cassettes have virtually no noticeable hiss. Hence, if they used a really good cassette tape and taped directly from the master using studio equipment and did not play the tape much, it could make for a truly great CD. Alan Jay Wescoat – True. I had a wonderful experience in 2012 when I obtained a sealed copy of the NME “Mighty Reel” cassette for mastering. It was a decent quality chrome cassette and having been sealed for 30 years meant that the binder didn’t oxidize and squeal. It was a joy to play that single time! I’ve not worked up the courage to try baking tapes in my oven, but perhaps I should buy some old cassettes at a thrift store and see how to best do it.